Sometimes you need a life event to shift your line of thinking completely. For me, it was when my father died at the age of 54. Suddenly, I didn’t look at life in the same way. There was a finite window of opportunity, and the “end” could come much sooner than I anticipated. I played the “what if I only had twenty-six more years to live” game with gusto. And I knew there were a lot of things I wanted to change. While your dream might not be to be an author or a writer, but I bet you could replace that word with one of your own and have the message hit a little too close to home. A recent report showed that 34 percent of Gen Xers admitted they’ve procrastinated on retirement planning. Over 37 percent of Gen Xers say their future financial stability relies on getting an inheritance one day. Whether you’re a Gen Xer yourself, or at the tail end of the Baby Boomer generation, those numbers should be pretty disturbing. Especially when you consider Social Security, Health Care, and other safety nets will pretty much be nonexistent by the time we’re old enough to collect. Think your pension is safe? Think again. In some ways, I was a pioneer in the movement of thinking beyond the norm. When my father died, I was still in my twenties. And yet the struggles were already beginning. I lived with the constant threat of my office being shut down and moved to the other side of the US. I lived with downsizing always a possibility. A massive heart attack ended my dad’s life. And a lot of that was caused by the stress of re-interviewing over and over again for a job he’d had for thirty years. His sole goal was to get to his 55th birthday and take an early out. He was several weeks short of his goal. My stress was already building. I stopped and determined I wouldn’t follow in his footsteps. There had to be another way. Being an entrepreneur isn’t an easy road. And it’s not one everyone wants to take. I would argue though that we’re all entrepreneurs in some way. You don’t have to leave your job to start up another stream of income. You don’t have to think very hard to realize your current job could disappear tomorrow if your company starts handing out pink slips. Or is merged with another company. Or declares bankruptcy and closes forever. In today’s world, if you don’t think about possibilities, you’re going to lose in the end. And somewhere way deep down inside, we all know Social Security isn’t going to be there for us. We say it all the time. Yet we push it all aside and try to ignore it, because it’s too complicated to get into while we’re raising kids, and taking care of elderly parents, and trying to pay education costs, and you know, have a life. How the hell is it possible to do all of that AND start something you love? And make GOOD money at it too? And with each of those “jobs”, I always had something else going on the side. I’ve looked at the future and said: Who do I want to be in 5, 10, 15, 20, years? How can I get there by doing something today? If you’re on track with your retirement funds and you see yourself moving from job to retirement without issue, congratulations. You’re one of the few. The rest of us know that in order to live life on our terms well into our 90s, 100s, and beyond, it’s going to take a little creativity to get us there. The pension might help, but we need to do a lot of things on our own. Why Not Do Things You Love? That gave us flexibility. It gave me room to be myself. 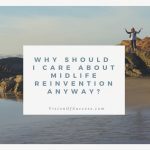 So I asked the question over and over: What’s next in my life? Writing, my brain screamed. I’d always written nonfiction, and I love it. But another side of me said: try fiction. So I wrote. And I took classes. And I learned. And I studied. And I looked for mentors. Until finally, I pushed towards my niche and landed in contemporary romance. It’s what was right for me. Sounds good, right? Is there something you’ve been longing to do? 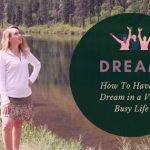 Do you wish you could take a step back from what you’re doing right now, to make room to create a business around what you love? The first step is mindset. You have to change your mindset in two ways. First, you have to want to do something new more than you’re doing what’s already in your life. Second, you have to take steps to ensure the new you is on her way. If you hate your job, or know it’s at risk, what are you doing to put something else into your life? When I wanted to write more for a living, I started looking for mentors who were doing what I wanted to do. I researched the industry to find out where the money was. I looked for people that were making the money I needed to survive … and thrive! I’m a business person at heart. 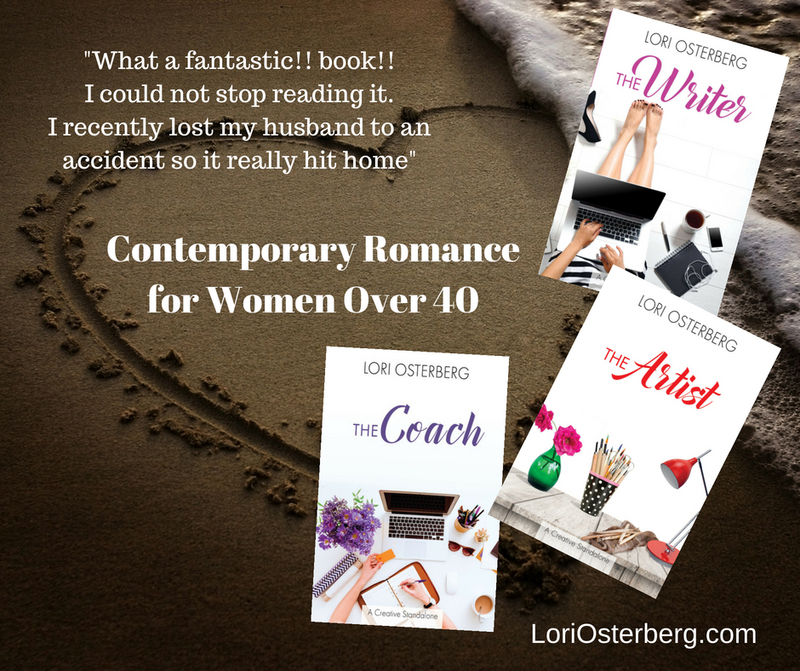 While I love writing, it’s also my career – my money maker. And I’m not going to do it if the numbers aren’t there. You can start to see the numbers in several ways. If you’ve worked in corporate your entire career, let me show you how easy it is to figure out what kind of numbers you’ll need to create to survive. These numbers should start putting your mind into motion. How could your passion fit within these numbers? If you design jewelry, could you sell 1,000 pieces at $1,000 a piece? Or what if you’re an author and you sell books for $5? Could you sell 200,000? And that’s for a million dollars. What if you’re simply trying to replace your current income? How many things would you have to sell to replace $100,000? Or $50,000? That might be where your first step lies – in understanding that all of this is possible. Because it is. Think James Patterson or Nora Roberts have sold more than 200,000 books? But you do have to believe it to make it your reality. While your first step is recognizing your desire to change, and the second step is seeing the money and knowing it’s possible, the third is taking action. That’s what separates the dreamers from the doers. When we moved, I put freedom back into my life. I had more time on my hands – we left a quarter acre and a 3300 square foot home behind. I had more discretionary income – an apartment is easier to maintain than a house. I had the time to devote to the things I chose to do: write and travel. I had more money to pay the bills, which meant my income didn’t have to be at the level it was before. I saw what was possible and I believed. I had my money number in mind. And I had the time and energy to put it all into action. 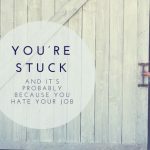 Even if you’re job is okay, you don’t anticipate a pink slip, and you’re on track for your retirement, what if things change? What if the stock market crashes and wipes out your accounts? What if the real estate market falls and you lose all your equity? What if your job disappears and your pension dries up? It might not be all about your passion making you a million dollars. It might be your passion simply has to be there for you to live the lifestyle you deserve. And that’s up to you – not your family or your friends or your company. No matter what happens in the future, the more prepared you are, the easier it’ll be to love the life you have. What is your brain screaming for you to do? What have you longed for? What haven’t you told anyone else about, yet you’d give anything to do? Have you wanted to travel to far away lands? Turn a hobby into something more? Write? Dabble in the arts? Start a nonprofit? What could you do to make it a reality today? 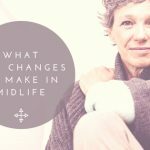 Why Should I Care About Midlife Reinvention Anyway?